I’ve been placing a lot of potions lately, and although I appreciate the basic ones based on standard spells I though I’d put together a short list of “special” potions; I imagine these are created by wizards with a specific knack for potion making, which allows them to create unique things. 1 Troll’s Blood Murky liquid, chunks of olive green flesh. Troll regeneration. Regain 1 HP per round for the next 8 Turns. Lost body parts regrow, survive everything but fire or acid. Cancerous mutations. Save vs Poison or mutate. If mutated, Save vs Poison again or die from shock. 2 Mind’s Call Airy and silvery liquid, almost on the verge of gaseous, metallic taste Lightning mind. Thoughts speed up for 1 Turn, allowing time to grasp the situation. Impossible to surprise, always wins initiative, +4 to hit and AC. Distractions. The quick mind is easy to influence, Will saves are automatically failed while under the influence of this potion. 3 Purifier Steaming, clear liquid. Bottle of leather-bound ceramics, hot to the touch. Purifying heat. The magical cleansing removes all diseases and curses and purges poison from the system. Scalded throat. Suffer D4 damage; unable to speak for D3 days (no spellcasting). 4 Clawing Spirits Swirling mist, a constant very faint scratching noise comes from inside the glass. Cloud of claws. When shattered (or opened) a cloud of malevolent, mindless beings are released. 2D6 slashing damage to everything within 10’. Dissipates in 1 round. Vengeful. If the entity which opened or threw the bottle suffers damage from the potion, this is doubled. 5 False Rot Thick sludge, smells of rotting flesh. Tastes like fermented cheese. Semblance of undeath. Emit a strange odor for D6 Turns; all Undead believe you are one of them (of their exact, specific kind). Undeath. If the drinker is slain while under the effect of this potion, s/he will turn into an undead of appropriate HD. 6 Spider Blood Yellowish ichor, sweet and not unpleasant taste. Chitinous growth. Skin hardens into a cracked chitin, painfully (D3 damage). AC +4 for 2D6 Turns. Stacks with armor only if it is worn when potion is drunk. Shedding. After duration, chitin shreds and reveals a red and sore skin underneath. -4 penalty to all rolls for a day. 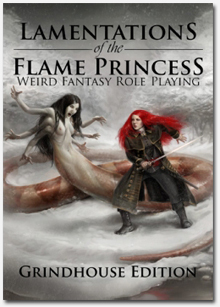 Since I know everyone appreciates a nicely laid-out PDF, you can find that by clicking here. The witch-doctors of the people who dwell on the edges of the Great Marsh seek out the nests of the Turga Leech as the spring thaw draws close. There, they harvest the leeches, which have spent winter curled up in deep hibernation, and hurry back to their lodges. Right after severing the tail of the still sleeping leech, they sing their odd magic and the leech turns into stone, remaining in that state “until it flies as fast as the swallow in the thaw”. These curled up and petrified leeches are known as Marsh Bullets in the surrounding lands, and the few traders who find their way out of the bogland sell them at exorbitant rates. Marsh Bullets may be thrown, but are far more effective if used as sling bullets. If thrown, they have only a 50 % chance of activating, and will otherwise remain dormant. Once activated, the bullet turns into a live, ravenously hungry leech in mid-air, covered in a sticky mucus and with teeth sharp enough to cut into metal. On a hit, D4 damage will be caused and the leech will stick to the target, causing an additional D4 damage each round due to blood loss. Since the tail end of the leech has been cut, it will never be sated, and the blood drained from the victim will spray the surrounding area. The leech lives for about a turn, after which the shock from having been petrified and the loss of its tail kills it. Removing a leech requires a full-round action, and causes 2D4 points of damage on that round as the fangs are torn from the flesh. Healing magic can be used to remove a leech; a healing spell or potion will seal the wound where the leech is lodged and expel it, causing it to drop to the ground and die. Also, any spell or effect that instantly slays the creature will work. Extreme heat or cold can also be used, but this will usually deal damage to the leech’s victim (removing one with a torch, for example, causes D6 damage). This old, filthy battle-horn appears to have been to hell and back (perhaps it has?). It is made from the curled horn from some sort of ram, but this is hard to detect beneath all the brine and soot it is normally covered with. Cleaning the horn is certainly possible, but it has an uncanny ability to once again get filthy and appear worn. 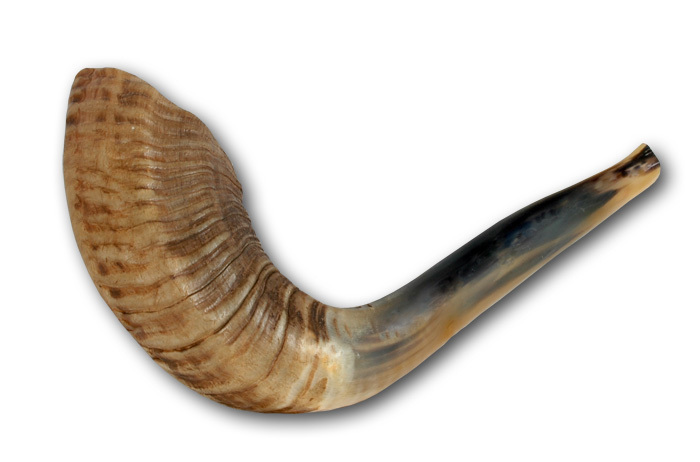 Anyone can blow this horn, and the effects can be devastating both for the one using it and others in the vicinity. Each time the horn is blown, roll a D6. It is prudent if the person blowing the horn specifies what direction he/she is pointing it before rolling this die. A blast of deadly cold air escapes the horn, accompanied by an angry howling sound. The blast of searing cold is projected in a 30×30′ cone from the bell (front) of the horn, causing 3D10 cold damage (save vs Magical Device for half). The autumn storms of the East are legend, and the horn emits this gale full-force in a cone 60′ long and 30′ wide at its end. Creatures of ogre-size or smaller caught in this wind are thrown 1D6x10′ away from the horn-blower; should they strike a solid surface along this path, they will suffer D6 points of damage for each 10′ of distance remaining. Tiny creatures, such as birds, will be flung twice as far and will suffer 2D6 additional damage from the raw force of the wind. Sea-air and cold brine spurts forth, spraying everything in a 50×50′ cone projected from the bell of the horn. Those caught in the cone will be soaked (and possibly miserable), and minor fires (such as torches) will be put out. A blast of super-heated air filled with sand streams from the horn in a cone 60′ long and 20′ wide at its end. Creatures caught in this suffer 2D8 points of damage from the heat, and an additional 2D8 points of damage from the blasting sand (save vs Magical Device for half). As the horn emits a hideous, disharmonic note it rends reality, and a wind from the blackest abyss spews forth, and riding upon it comes something best left unnamed. Make a roll on the Summon spell table (LotFP Rules & Magic p 142) for a creature with 2D4 Hit Dice. This creature will be uncontrolled and will attack all living things in its vicinity for 2D10 rounds before returning to its own reality, unless the roll for this duration is 20; in this case, it will remain indefinitely in this world, and will feel a permanent and consuming hatred for the individual who blew the horn. As the horn is blown, the last air is sucked from the lungs of the horn-blower as it attempts to rend out his/her soul. A save vs Poison/Death must be made; if successful, the horn-blower manages to remove the horn from his/her lips and nothing happens. Otherwise, a horrible keening escapes the horn as the blower dies. All creatures able to hear this keening must save vs Magical Device or be Stunned for D6 rounds. Any creatures eligible for Morale checks should also be forced to make one at -2 after hearing the sound. A long time since my last post – I’ve been busy working on a new module for my players, but I should have something juicy for everyone in a while. I was, however, fidgeting around with some changes to the Tomb of the Iron God before running it for my players a while back and I created some more interesting magical items to replace the more generic +1 swords with. I created this particular sword, and fel very pleased with it. Winter’s Blade radiates powerful magic, and is indeed a very deadly blade; it deals an additional D4 frost damage per strike to all creatures vulnerable to cold, grants its wielder a +1 bonus to hit and also grants the wielder Resistance to Cold as per the spell when held. Perhaps most impressively, it also deals double damage to dwarves. If the sword is ever used to damage an elf, the wielder suffers 3D8 points of cold damage and must save vs Poison or die immediately. However, for each battle in which the blade is used (defined as wielding it and using to make at least one attack) the wielder ages one year. If this effect is unknown, the GM should keep track of this aging in secret; there is a cumulative 5 % chance per year aged that the wielder notices the effect, through joint pains and physical signs. The aging is of course less of a drawback for elves, albeit still a heavy price, but it can be absolutely devastating for humans as their physical bodies are ravaged. See the rules for aging in LotFP Rules & Magic p. 34 for the actual effects. Should it become commonly known that someone is wielding this blade, an elven prince (Lvl 2D6) will appear with his retinue within 1D6 months to claim it as an heirloom. Perhaps the characters will be glad to be rid of it, perhaps they will ask a price, but regardless the prince will press them to hand it over and will gladly do battle with them if they do not do as he says.